Bez dvojbe da se radi o meteoritu. Ovaj foto ispod je sniman posebnom tehnikom. a tada će se moći s velikom dozom sigurnosti i potvrditi gornje mišljenje. Today marks the conclusion of the MSL Science Team Meeting currently taking place at Goddard Space Flight Center in Greenbelt, MD. 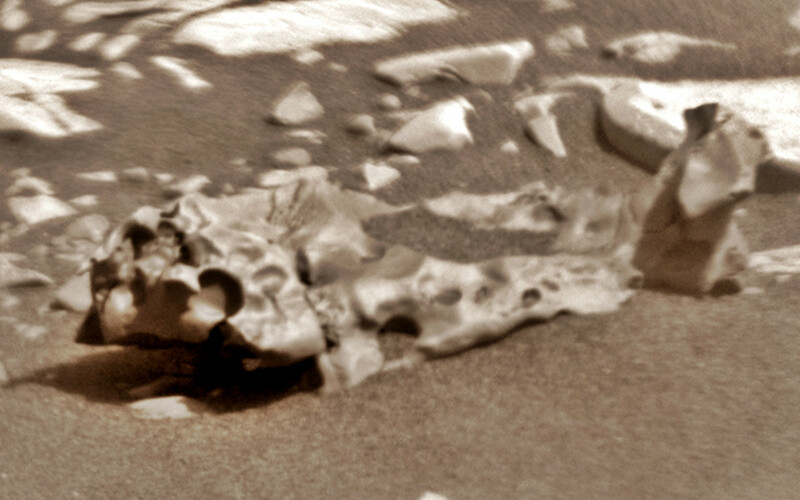 These meetings are where scientists and engineers can come together to discuss the ongoing activities associated with the Curiosity rover. They're always productive opportunities to discuss strategies for analyzing previously collected data as well as strategies for investigating the terrain ahead of the rover. 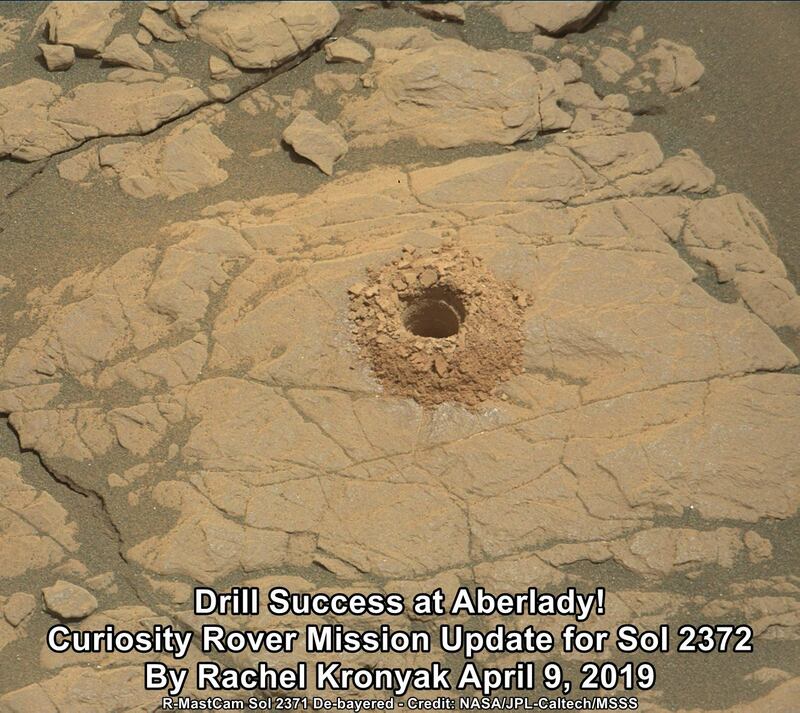 After significant discussion among the science team as well as analysis of the compositional data that came down overnight from both the APXS and ChemCam instruments, the team has decided to proceed with drilling the Aberlady target. The additional compositional analyses confirmed that the composition of this target looks comparable to other targets within the clay-bearing unit. So, with the team coming to this consensus, today marks the planning of Day 1 of our typical drill cadence, complete with a pre-load drill test to monitor and examine the drill's performance prior to actual drilling into the target. 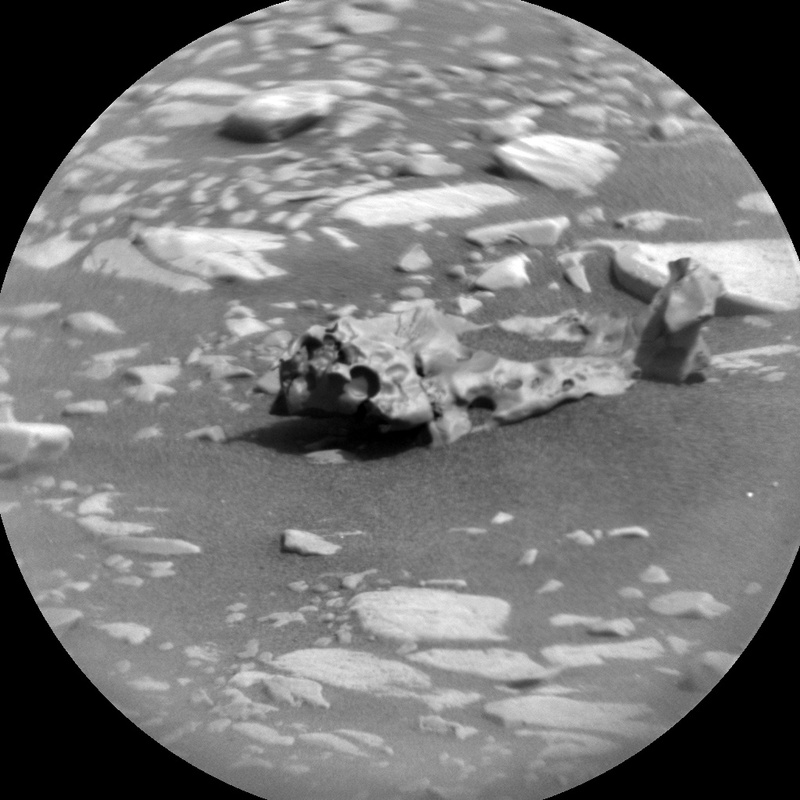 These activities are preceded by a 1.5 hour science block, which will focus primarily on additional ChemCam compositional analyses and Mastcam color and multispectral imaging of the workspace. In the late afternoon, APXS will begin a series of two integrations that will last well into the early morning hours. 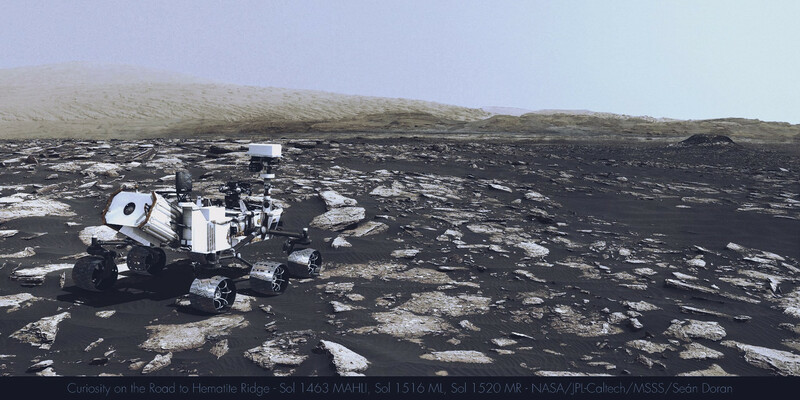 However, instead of placing the sensor head on the martian surface to investigate the compositions of rocks and sediments, APXS will turn her sensor skywards to measure seasonal changes in atmospheric argon. These activities will set us up nicely to continue with the drill campaign, hopefully resulting in a full drill effort sometime this weekend. Kompozit originala (a. Sean Doran) sam samo izgled približno "pretvorio" (uskladio). Snimak je od prije nešto manje od 2,5 nših godina. Today we received the initial results from CheMin's analysis of the "Aberlady" drill sample, and they look great! This means that CheMin received enough sample and we do not need to deliver more material. 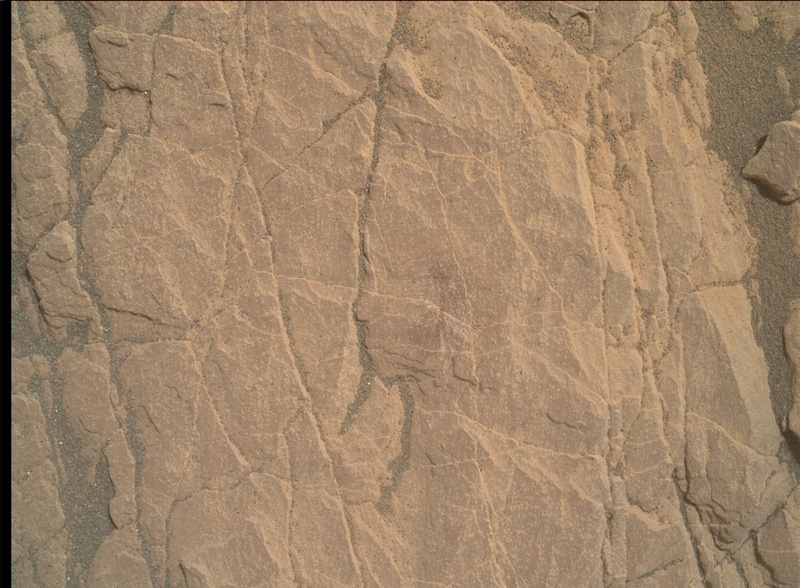 Based on the initial questions about how much sample was obtained (see the Sol 2373 post), SAM decided to not use their resources to analyze this sample. 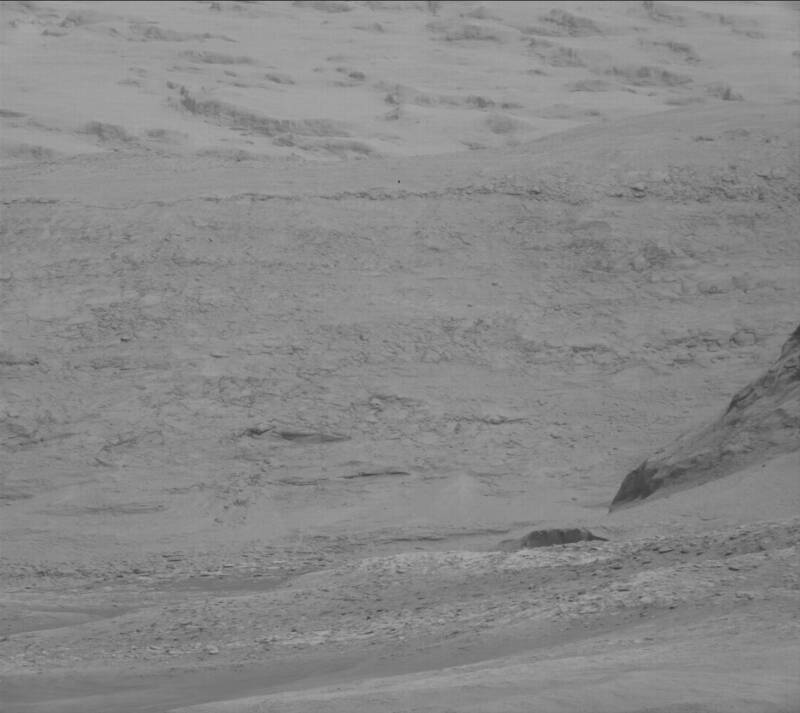 So in today's plan we will dump the rest of the sample on the ground where we can analyze it with Curiosity's remote sensing instruments. 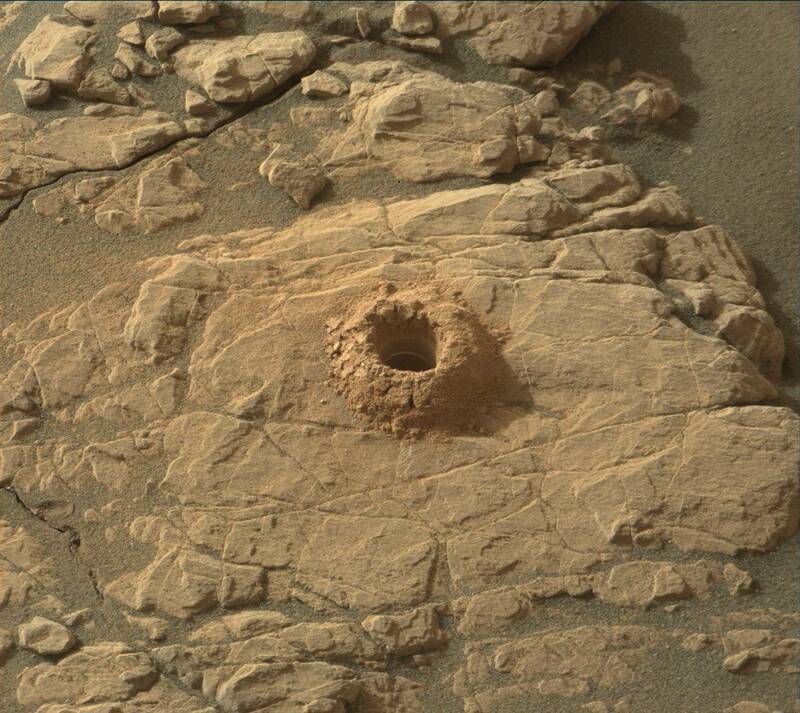 We are currently deciding whether we should drill at another location nearby so SAM can have a shot at analyzing this type of rock. To help with that decision, in today's plan ChemCam will target two potential drill options, "Ulva" and "Sutors." 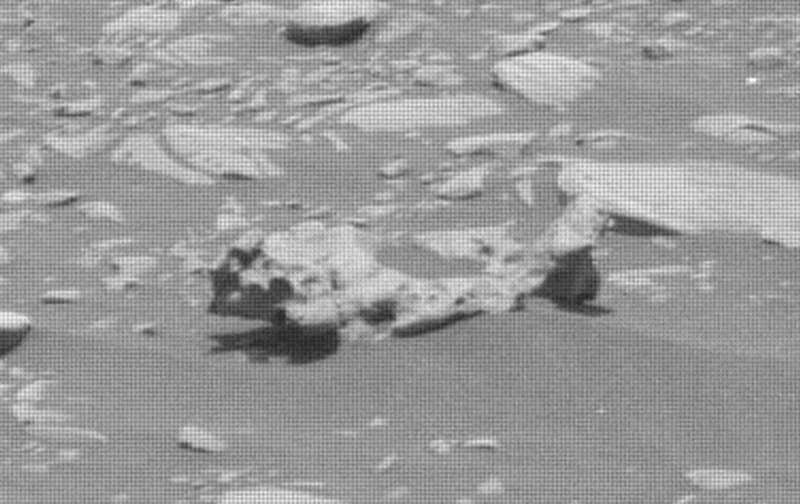 ChemCam will also target "New Lanark" to document a possible transition between two different rock types that were observed near the rover. We are also taking advantage of being stationary next to a large sand patch by obtaining change detection observations. 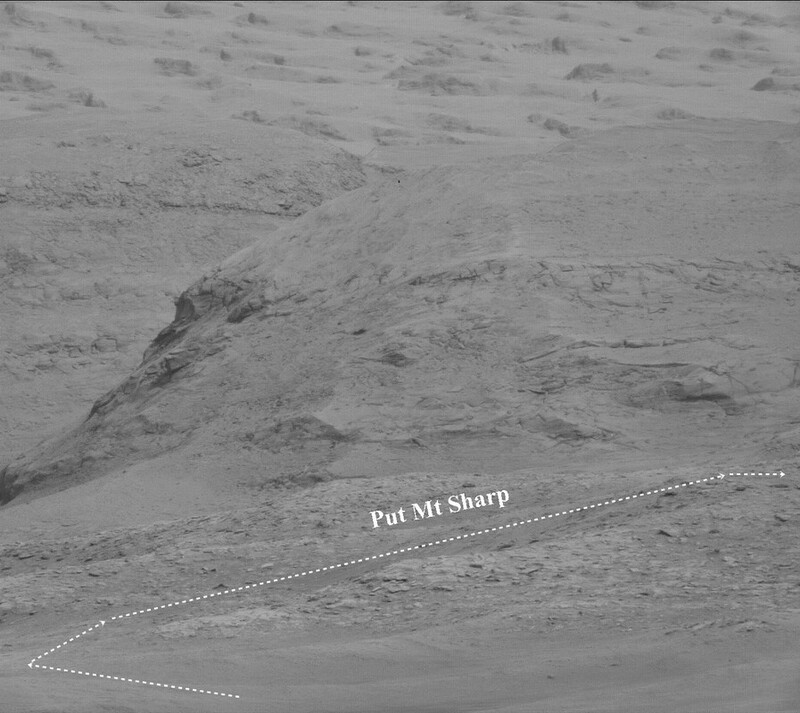 In today's plan Mastcam will take images of the "Claymore" target to document potential sand motion in the area. This will tell us how windy it is in this region. 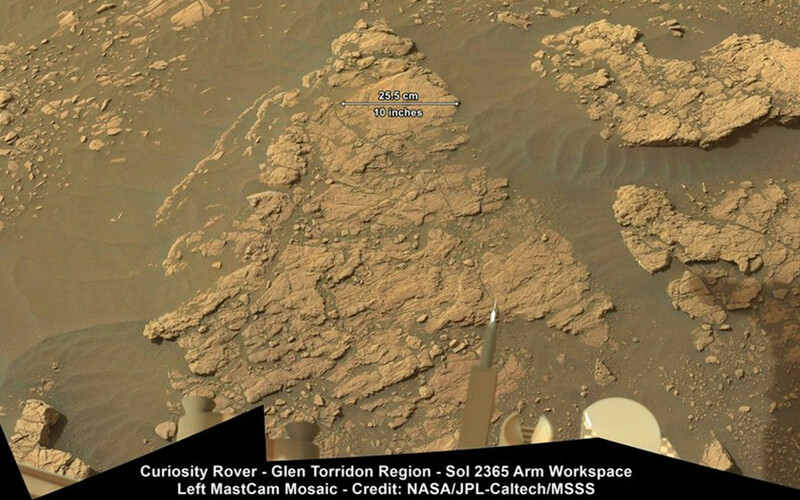 Finally, today's plan includes a Mastcam 360 mosaic so we will get a spectacular view of our surroundings. Meteorit je zaintrigirao , ali vjerojatno neće biti pobližih ispitivanja. Malo sam dodao boje okolice i povećao...Zanimljivo! Daljinski snimak "Podbrda), gdje će ići put prema gore...Potrajat će dok se ne dođe tamo. Prije je trasa bila tu iza, ali su se bojali gubitka veze sa Zemljom.